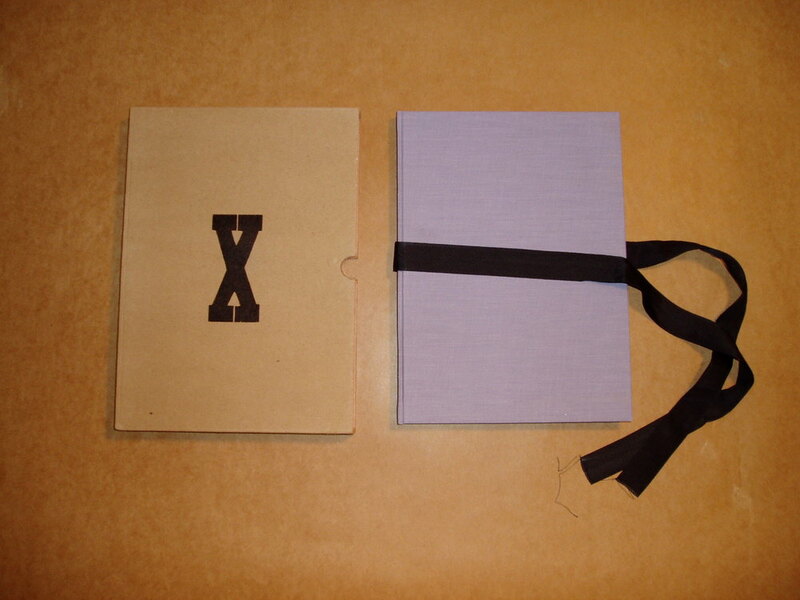 Description: Hard-bound book with hand-set type presented in a brown paper slip case. 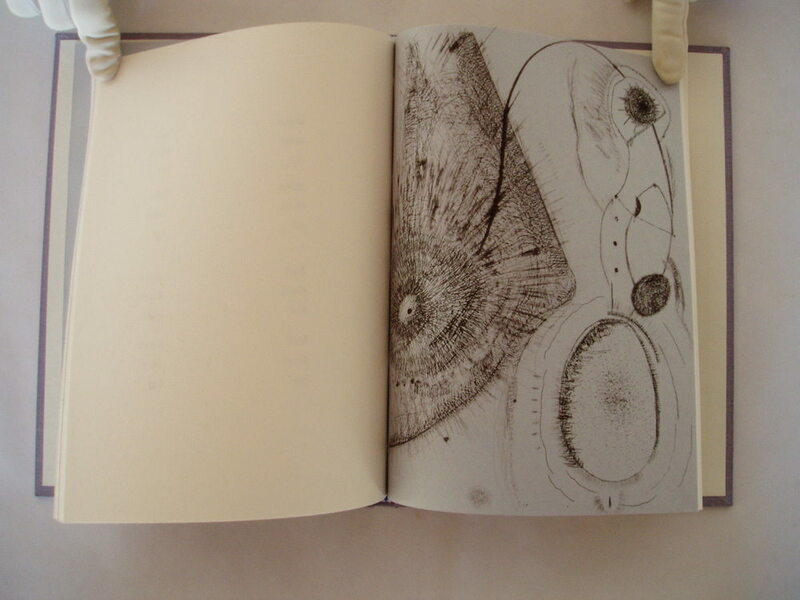 The text is a concrete poem by the author, decorated with 3 original watercolors and 2 etchings by the artist. Paper: Frontispiece watercolor and etchings on blue hand-made laid paper (hot press), Wookey Hole Mill, England. 2 remaining watercolors on J. Watman Mold paper, England, 1958. Text printed on Lanaquarelle 90 lb. hot press. Printer: Etchings printed by Fernando Sandoval, Oaxaca, Mexico. Text printed by Gabriel M. Quintas, Linotipográfica Quintas, Oaxaca, Mexico. 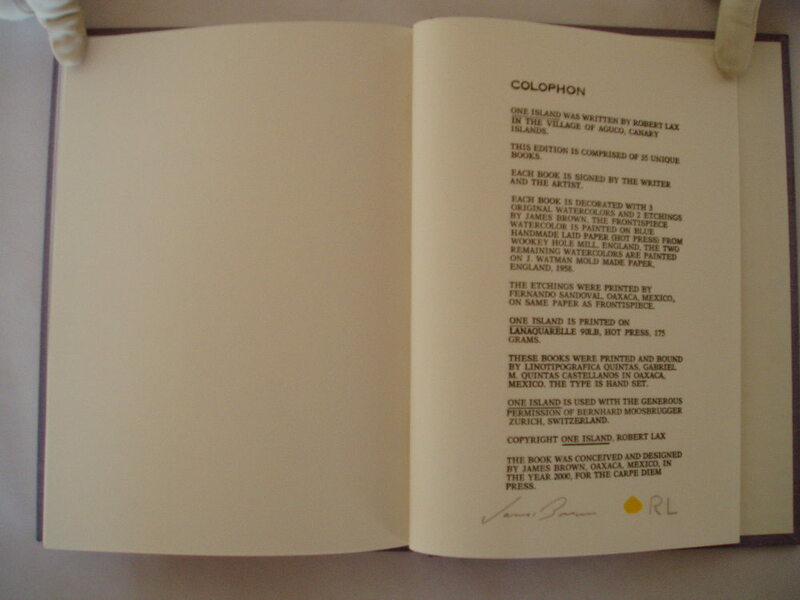 Notes (1): All signed by the author and artist, numbered and dated 2000. Studio ref. no. : CD00.AB.01.